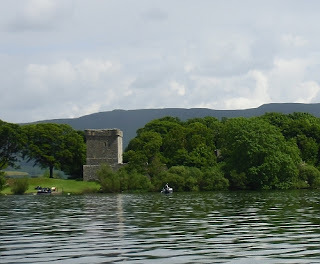 Recently I visited Lochleven Castle in Kinross, Fife. 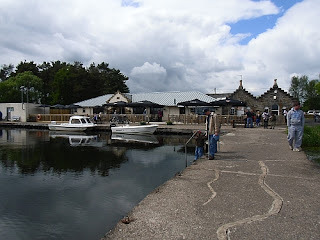 The castle is situated on a small island on Loch Leven in Kinross, Fife. It was the castle in which Mary Queens of Scots was held prisoner between 1567 and 1568. The castle is maintained by Historic Scotland, a government body responsible for maintaining ancient monuments and buildings. A small ferry is operated by Historic Scotland to take visitors on the 10 minute journey to the island. 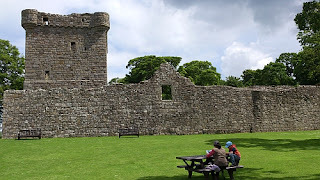 The castle dates from the 1300's and is one of the oldest castles in Scotland. 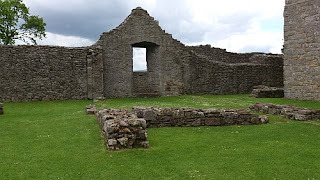 Among the important visitors to the castle were King Robert the Bruce, David lll, Mary Queen of Scots, James Douglas and the 4th Earl of Morton. However, the castle will forever be associated with Mary Queen of Scots because of her imprisonment and escape from the castle. The life of Mary Queen of Scots was eventful, to say the least. Mary Queen of Scots was the daughter of James V and Mary of Guise. Mary was brought up in France, the country of origin of her mother, which was at the time, the most sophisticated court in Europe. In 1558, when she was fifteen, she married the King of France - Francis II. He was fourteen, but died two years later on 5th December,1560. On 29th July 1565 Mary married Henry Stuart, Lord Darnley in Mary's private chapel at Holyrood Palace in Edinburgh in a Catholic ceremony. However, on 10th February 1567, Lord Darnley was murdered in Kirk o' Field in Edinburgh and it was believed that James Hepburn, 4th Earl of Bothwell was behind Darnley's death. Bothwell was later acquitted of the charge in April 1567, and in the following month he married Mary. However, the couple were unpopular in Scotland and this led to Mary's imprisonment in Lochleven Castle. On 24 July 1567, she was forced to abdicate in favour of her one-year-old son, James. Mary escaped from the castle on 2nd May 1568. 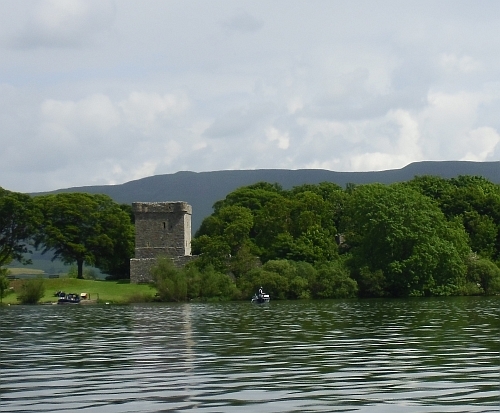 Mary escaped from Loch Leven with the aid of George Douglas, brother of Sir William Douglas, the castle's owner. After her escape she rallied a large force which cumulated in the Battle of Langside on 13th May 1568. Mary's troops and after this, Mary left for England to get support from her cousin Queen Elizabeth I. Mary Queen of Scots was executed on 8th February, 1587 at Fotheringhay Castle in Northamptonshire. In the 16th century, the castle would have covered most of the island, as the island was much smaller than it is today. The water level on the loch was lowered by a meter in the 19th century and causing land was exposed. The castle is a ruin, but is still worth visiting because of its historical significance. After disembarking from the ferry, we had a look at the external of the castle before entering the internal part of the castle. 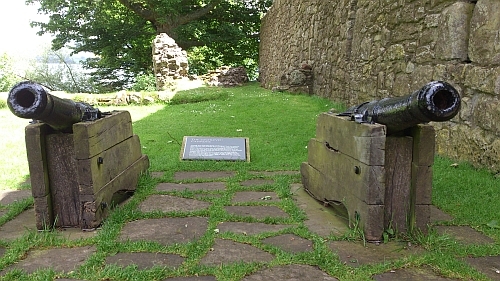 At the entrance, there are two small cannons which are a modern addition and date from around the 1800's and the Napoleonic Wars. They do add some character to the castle. Entering the castle, there are the ruins of some of the buildings and the tower, which had been quite well preserved. We first climbed the steps to the tower. 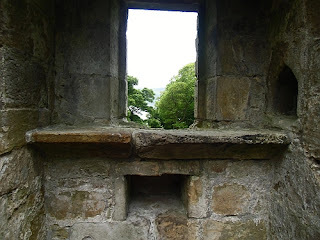 This is where Mary Queen of Scots was held captive. There were originally four floors in the tower and Mary was kept in the upper stories. The wooded floors have long gone, but the outline of the features such as the fireplaces are still intact. We climbed the modern wooden stairs to the room where Mary was kept captive. There was a window which Mary used as a prayer area and we stop to have a look at it. This window looks out on the curtain wall and is also interesting in that it was specially organised for her spiritual needs. For example, there is a small piscina, which was a basin used to wash alter items after Mass, and a small cupboard for keeping valuables. Access to the upper floor of the tower was by a wall which remains today but visitors are not allowed to walk on it. Mary was a Roman Catholic at a time when Scotland was embracing the Presbyterian church of the Reformation. By 1560, a provisional government was established and the Scottish Parliament renounced the Pope's authority and the Catholic mass was declared illegal. Scotland had officially become a Protestant country. John Knox, the Scottish Protestant reformer had heated arguments with Mary Queen of Scots to renounce her faith, but the Queen refused. 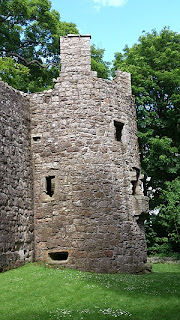 This is situated at one corner of the castle and dates from 1550. It is an impressive structure and was built to improve the appearance of the castle and also to improve the defences. The tower has a vaulted basement which is defended by a gun hole, and two small rooms above. It is possible to walk up the internal staircase to the upper floors of the tower. The original castle had a great hall which was where Mary's jailer lived while she was confined in the tower. All that remains of the great hall is a window and a fireplace. This can be seen in the photograph above. The visit was very enjoyable and allowed us to get a better understanding of important events from history. It also made us look into events from Scottish history to gain a better understanding of these.